Men have been dancing for centuries right alongside women in the world of Raqs Sharqi. While the history of women and men dancing together varies by region, of late it is a common and welcomed occurance in the bellydance world. We’re happy to celebrate men in dance and are proud sponsors of the Andrus Ramir Weekend in Atlanta. Our partners in this awesome project are Atlanta Fusion Bellydance and World Bellydance Alliance, two of the city’s very strong and active Raqs supporters. Saturday and Sunday, the first and second of August Andrus Ramir will return to Atlanta for a spectacular weekend. He’ll be teaching three workshops including Sha’abi. Andrus has become a bellydance household name with this amazing, well-developed repertoire in the industry. He has studied with so many greats including the globally loved Tito Seif and Nath Keo. His teachers and influences are some of the greatest names the industry has ever seen. Andrus Ramir at the Amazing Caravan of Dancers in Florida – Great Organization and Great Show! See Andrus! Andrus Ramir’s courses are very useful. Dancers can walk away with something to add to their own knowledge, skill and raqs treasures. He’s not only mega talented but super nice and caring which makes him an excellent instructor. We encourage all dancers of all levels to come out and enjoy this great dancer for two days and to attend the Sunday afternoon show at Steve’s Live Music. Andrus Ramir will perform along with an incredible line up featuring several of Atlanta’s Raqs/Bellydance community members and International Community favourites. And we’re giving away prizes! You don’t want to miss this! It’s hot out there but the show must go on! Looking for cool, comfortable costumes that look good? Try a few of these. These fabrics are summer fun friendly and help you and your troupe stay cool. 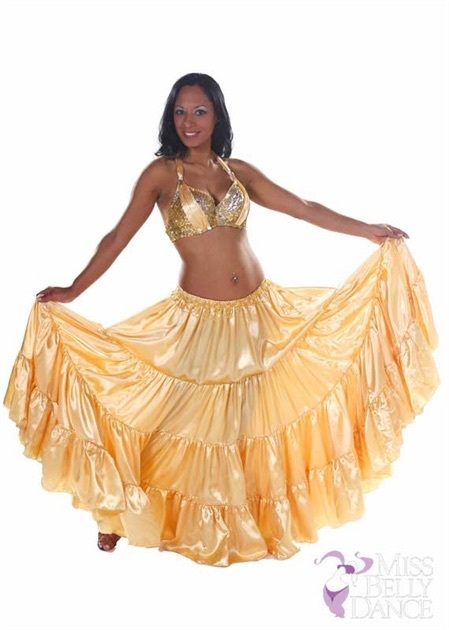 There are also wider spinning skirts that are cotton and allow your skin to breathe while performing. You can find bright matching tops to complete your ensemble. Several of ours have elastic in the waist and adjustable ties (tops) to fit a variety of body types. If you need a group discount, consider opening a wholesale account and saving on your orders. Also, join us on social media daily for new styles, deals of the day and discount codes! Find us on Facebook, Google+, Instagram, Twitter and Pinterest – all @missbellydance – Tag/RT us in this share on your social post and we’ll enter you to win 20% off your next order. Drawing to be held at the end of the month. Stay cool and thanks for reading! House of MBD and friends.